Summer is here! The sweltering heat has made children and adults stay indoors and adopt various measures to stay cool. In most cases, having a cool glass of buttermilk helps. And, it is healthy too. Drinking buttermilk is one of the best ways to cool yourself down on a hot and sultry summer day. But, if you think that buttermilk is just about cooling down, then you are mistaken. For, along with the cooling properties, buttermilk offers several health benefits. 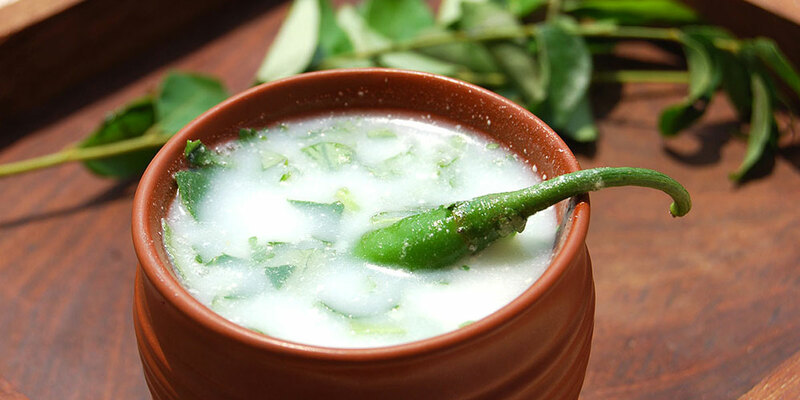 Cools down body temperature- The primary and most beneficial property of drinking buttermilk is that it cools down the body temperature during the hot season. Aids digestion- We all know that buttermilk is a curd-based drink and that curd is naturally loaded with probiotics. This increases the growth of healthy gut in the body. Further, the spices added in buttermilk prevent indigestion and cause burping which helps in soothing your digestive tract. Helps wash down oily food- During the hot season, consuming oily foods can cause discomfort. A glass of buttermilk can make you feel much better. The ginger, cumin powder, coriander and other spices wash down the oils and fats, which can line the inner walls of the food pipe and stomach leading to ulcers and other digestive problems. Also, these spices help expel gas from the stomach. Storehouse of nutrients- Buttermilk provides several health benefits as it is loaded with nutrients. It contains calcium and protein, which supports cell communication and the contraction of muscles. Calcium also helps prevent bone disorders such as osteoporosis. Apart from Calcium, buttermilk is a rich source of proteins, vitamin B, vitamin A, vitamin D, vitamin E, and potassium. All these nutrients are essential for an active and healthy lifestyle. Apart from the above-mentioned health benefits, buttermilk also prevents yeast infections, rejuvenates sun-damaged skin, eases constipation and helps lose weight.